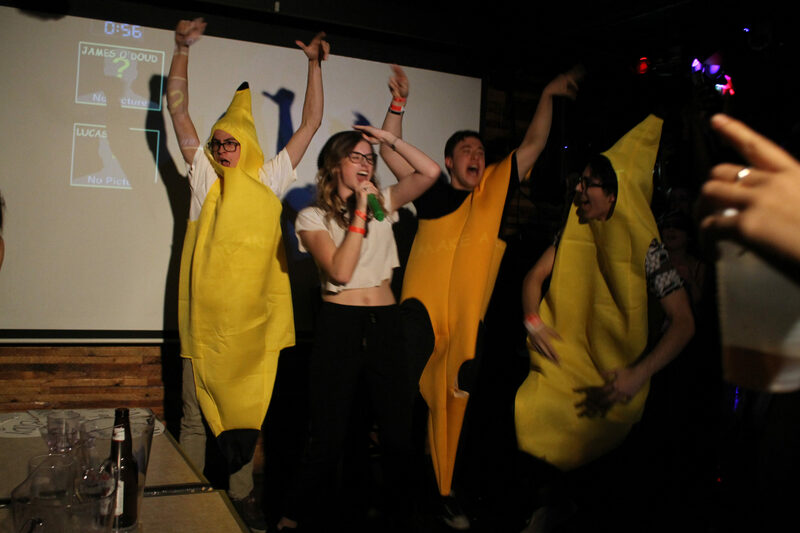 RTA broke journalism’s streak after a win at the annual RTA vs. journalism karaoke competition Thursday night. Journalism and RTA have had a rivalry for many years and the karaoke competition is one of the main ways the two programs express it. However, this year the event was plagued by controversy. Students in the journalism school found out the MC for the evening was from RTA, and was encouraging bias by telling RTA students to hold their anti-journalism signs high. It was later discovered that a supposedly non-biased RSU judge was in RTA as well. Due to a massive RTA turn out, only 12 of the evening’s songs were performed by journalism students in the three-hour span of the competition. Journalism won the last two years, and RTA won the two years before that. Each year there is a prize incentive for the winning program. This year, RTA won a phone charging station for their lounge. The evening also ended in a bit more controversy when the RSU judges attempted to take over the singing at the end of the night to announce the new vice-president education, Victoria Morton. However, many students started yelling that this wasn’t what the evening was about and she didn’t end up singing. Here are some pictures from the evening at the Ram in the Rye. Singers signing up through the scan code. Madonna from j-school starting off the evening. Judges reacting to the performers. RTA prof Sal got in on the action. Ahmad and Maura from RTA performer Anaconda. Kevin John from j-school got dressed up to sing The Circle of Life. James from RTA got dressed up specially to dance to Chandelier. Kelsey from RTA dancing with bananas and singing Hollaback Girl. Vanessa, Jasmin and Ebony representing j-school. Alex and Brett from RTA. Hung from RTA dedicated American Idiot to Donald Trump. Lamees and Brooklyn took the stage for j-school to wrap up the evening, which turned into a giant journalism dance party of stage. RTA winners raise the trophy in triumph. For video clips from the event, check us out on Snapchat @theryersonian.